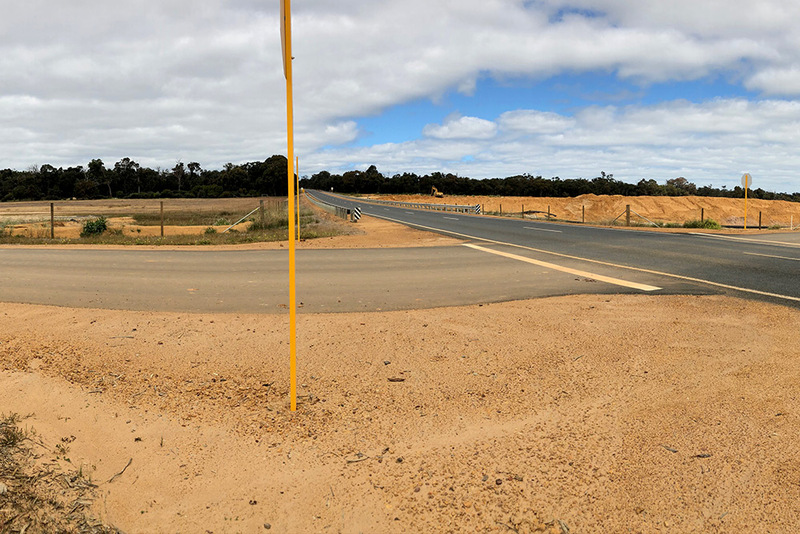 Leeuwin Civil was awarded road construction works to improve access to the Yoongarillup Mineral Sands Project access road at the intersection of Sue’s Road in Busselton. Sues Road is a busy heavy vehicle thoroughfare with a posted speed limit of 110 km/hr. 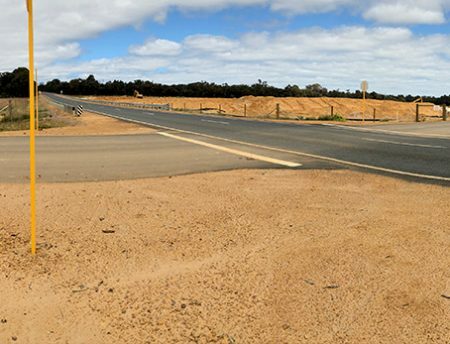 As such Leeuwin Civil’s traffic management services were provided to the required Main Roads WA’s standards and specifications. Works also included construction of limestone and gravel pavements with 40mm and 60mm asphalt wearing courses for the haul trucks. Leeuwin Civil were also responsible for all associated signage and linemarking.